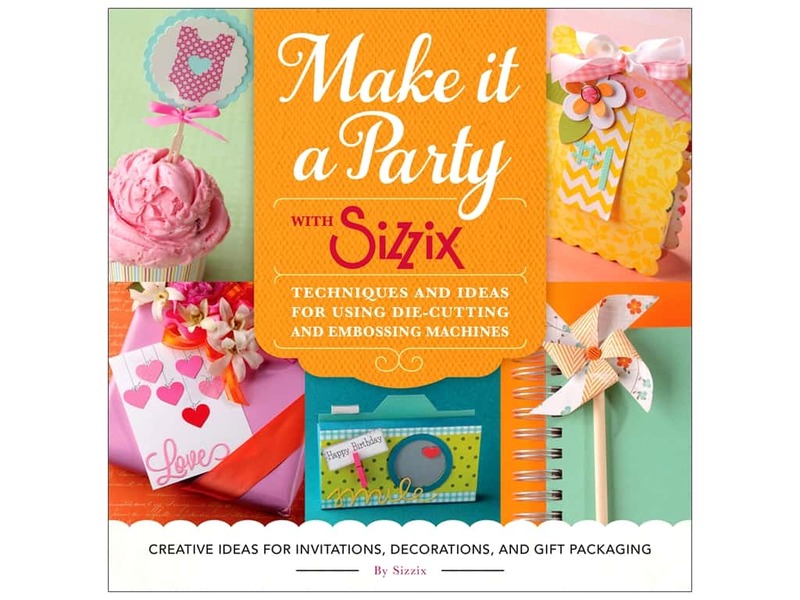 Description: Make It a Party with Sizzix: Techniques and Ideas for Using Die-Cutting and Embossing Machines Book. The Sizzix Design Community presents many artsy projects that incorporate the use of the popular Sizzix die-cutting machines. All you have to do, party planners, is page through the book and select the most appealing projects you want to make for your upcoming event. Includes unique "occasion party" ideas - birthday party, wedding shower, baby shower, Christmas, New Year's Eve, Halloween, and more. Also includes projects for themed celebrations, such as throwing a luau, a circus party, a tailgating event, a sport night, a movie night, and others. 144 pages in a soft cover.